The Green Climate Fund's mandate couldn't be more crucial: accelerating climate action in developing countries by supporting transformational investments in adaptation and emissions reduction. 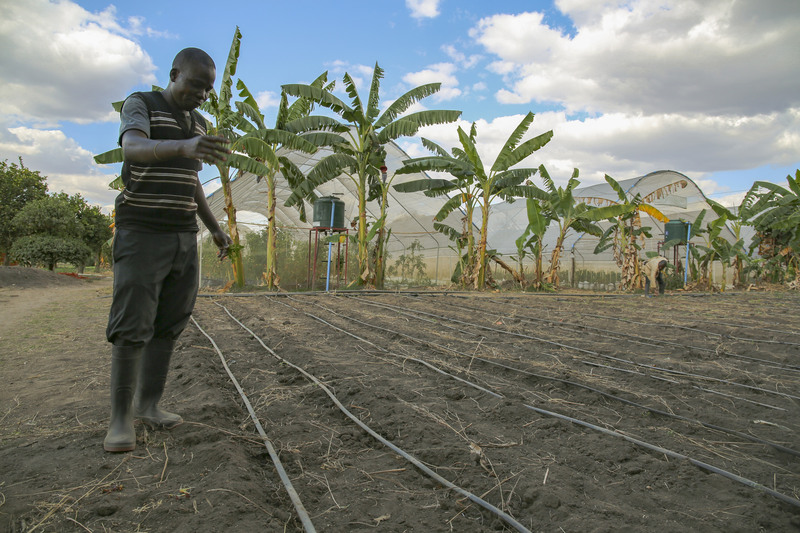 Projects already financed by the GCF range from solar power in Mongolia and improved water management in Colombia, to climate-resilient agriculture in Ghana, Nigeria, and Uganda. However, the GCF is facing a crisis of confidence. Its most recent Board meeting, in July, was spectacularly unproductive, and its executive director left the organization. This is only the latest example of a broader problem—a GCF that in the eyes of many can be a lot more effective and efficient. More resources and strengthened governance are fundamental to restoring confidence in the GCF, as we lay out in a new working paper, Setting the Stage for the GCF's First Replenishment. After speaking with 86 stakeholders—including board members from developing and developed countries—we have recommendations for strengthening key aspects of the GCF. Now, four years after the initial contributions were pledged, the GCF is getting close to allocating most of its resources and triggering a new round of funding ("replenishment"). However, given the GCF's crisis of confidence, uncertainty looms over the process. That is a problem, for the present as well as the future. Developing countries have prepared their nationally-determined contributions (NDCs, which are national climate plans) with the expectation that–in addition to their own domestic budget resources–they can count on financial support from developed countries, including through the GCF. Given the longer-term objectives of the NDCs, good planning and timely implementation are key; this in turn requires predictable external financial support. This formula is a suggestion, not a recommendation, and the most important takeaway is that more predictable funding is needed. To be sure, the elephant in the room is the United States. 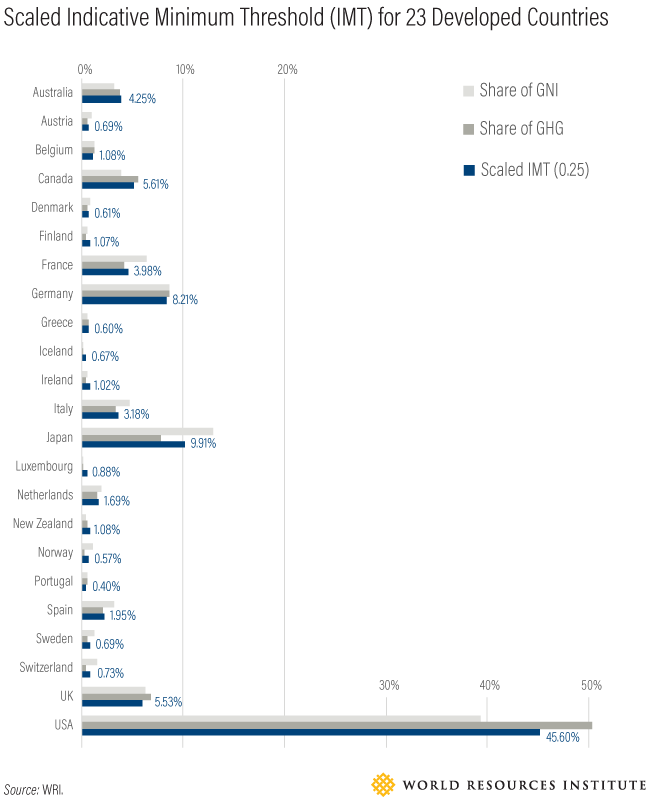 The world's second-largest GHG emitter has made no contributions to the GCF since 2016, at which point it had contributed a third of its pledge. Stakeholders we interviewed stressed the need to stay engaged with the United States, the country that our model suggests should make the biggest contributions to the GCF. Another feature of the Calculator relates to other countries, which might join the mix of contributors; you can experiment with the possibilities in our Calculator. If developing countries decide to contribute, especially those that are already major emitters, it must be clear that these contributions will be voluntary and will not count towards the international finance goal of mobilizing $100 billion per year from 2020 onwards by developed countries. The most recent GCF Board meeting in South Korea in July 2018 ended in gridlock. The Board had $1 billion in projects in the queue, and shockingly approved none. Project proposals from countries all around the world (like Tonga, India, Guatemala, South Africa and Cote d'Ivoire) are still waiting their turn. The Board also failed to advance preparations for the replenishment process. This is just a recent example of deficiencies in the GCF's governance system, which undermine confidence stakeholders' confidence in the GCF – including developing and developed countries. This loss of confidence will potentially restrain contributors from making new funds available to fill the coffers of GCF, subsequently affecting developing countries' ambition to contribute to the timely implementation of the Paris Agreement. Apply consensus, not unanimity, to decisions. The GCF has interpreted consensus to mean each and every one of the 24 members has to agree with a proposed decision. Consensus is important, but not at all costs: if some Board members have reservations with a proposed decision, the Board should still be able to move forward through a mechanism for decision-making in the absence of consensus (as provided for in the GCF's governing document.) This is essential to remain a reliable partner and to be able to accelerate climate action in developing countries. Introduce a Board self-assessment mechanism. The Board needs to work in a collegial, structured and results-focused manner; it is important to assess from time to time whether deliberations are living up to these standards. Like many other institutions, we recommend both an external assessment and a self-assessment of Board performance. Strengthen the Board's role as a representative body. Most stakeholders noted a lack of clarity on what role Board members have, which countries selected them, and what responsibilities the hold. 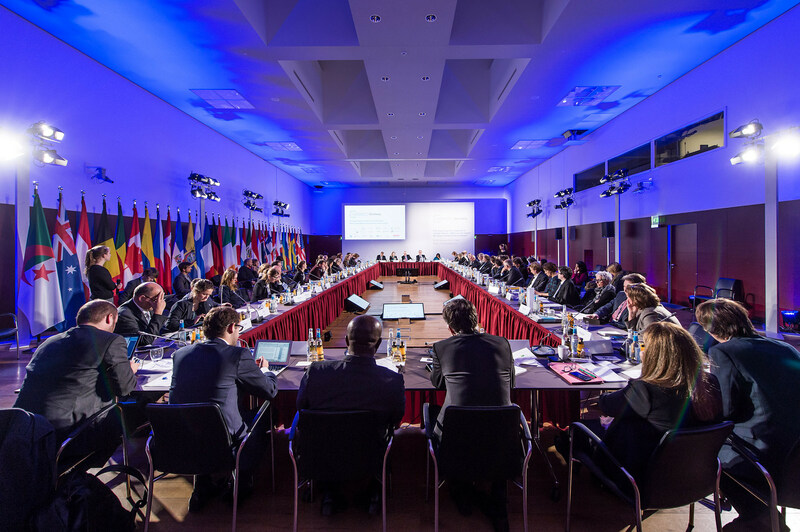 A more transparent system for selecting Board members, accounting for their positions on policy issues and clarity about their mandate, would rectify these ambiguities, as would better efforts to connect Board members with the countries they represent. We Need the GCF. The GCF Needs Us. For the GCF to work, it needs predictable funding and governance reform. Predictable funding and governance reform can only come from committed leaders, who support climate action and from that perspective are willing to support a dynamic and transparent GCF, which can take risks for the sake of promoting bold action. Time is not on our side, leaders need to act to make sure that GCF can make up its promise to support transformational change in developing countries.